Townvillage is a unique mix of citybuilding and farming. Build your dream town consisting of houses, farms, factories, community buildings and a trading port. Manage the productions in your cartoon town, sell goods to further develop your city, farm and grow your island to a flourishing trading port in the area. 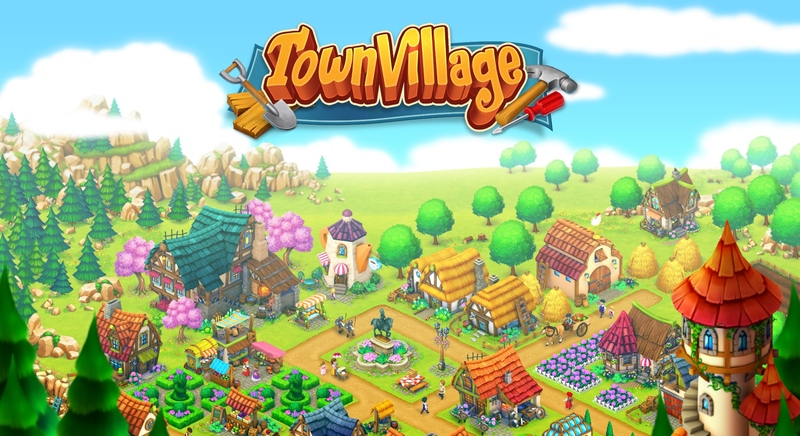 Enjoy Townvillage for free, created by the number 1 citybuilder developer for mobile: Sparkling Society, with over a dozen cool city building games and over 65 million players worldwide. Try to develop, farm and craft your village into a town / city / megapolis with lots of beautiful buildings, lots of goods to produce on the farmfields, grow a variety of crops on your farms, and deliver orders from your citizens to keep them happy and earn cash and XP. Decorate your town with a lot of beautiful decorations to make your city unique. Develop your village to smallville cartoon town. So if you like citybuilders and have played other city building games in the past, you’ll definitely love this city builder. If you love a relaxing game with a challenge or if you are a designer when you build your own city, join now! * Play with your friends, make new friends in the game community!